A few weeks ago, Nancy and I went to Mustafa’s in Little India. 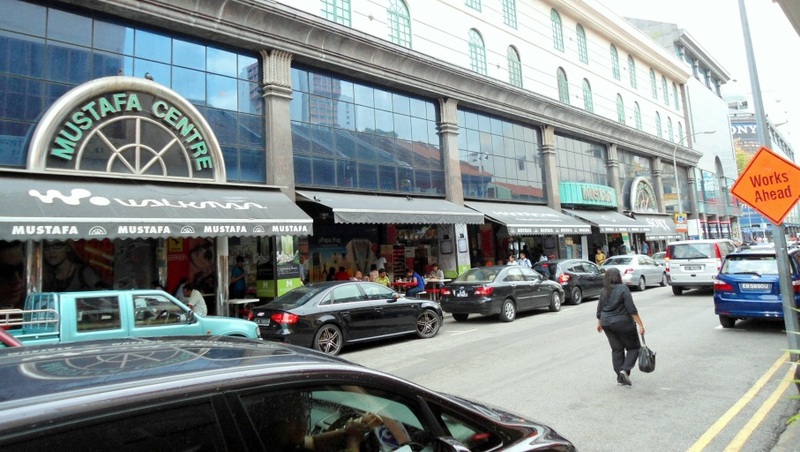 The Mustafa Centre is an institution in Singapore. Begun in 1971 by Mustaq Ahmad as a small shop selling clothes, it moved to a larger space in a 900 square foot shophouse on Serangoon road, but moved to Serangoon Plaza when the government acquired the Serangoon shophouses for conservation. 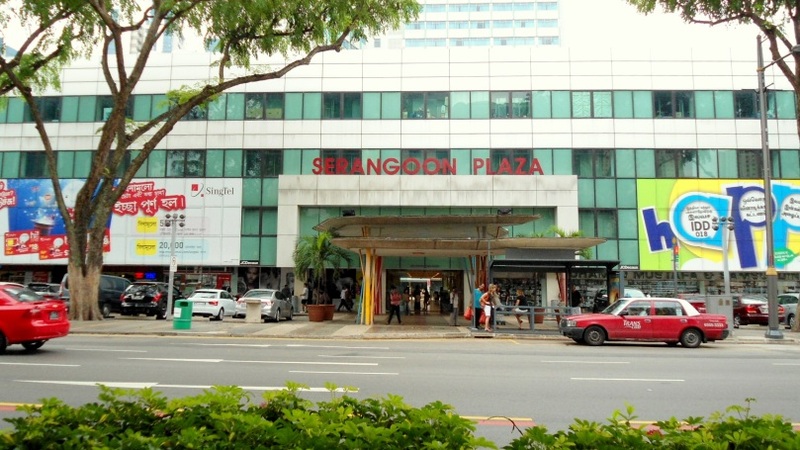 When 40,000 square feet in Serangoon Plaza started to get crowded, Ahmad took over the shophouses on the adjoining Syed Alwi Road to create a total of 150,000 square feet of shopping displays, four floors, open 24 hours a day, with over 1200 employees. Bigger than Costco, bigger than Sam’s club. Everybody in Singapore knows about Mustafa’s. Groceries, clothes, jewelry, house wares, garden wares, car accessories, books, and who knows what else is on offer at Mustafa’s. Take your choices to any of the cashier’s that are scattered throughout the store – literally throughout, not just at the exits – and they’ll take your money, put your purchase in a plastic bag, and close it securely with a zip tie. You can buy things as you find them, or you can take everything to one cashier. That is what Nancy and I wanted to explore one Sunday. What we didn’t know is that on Sunday afternoon, the streets around Mustafa are packed, packed, packed with Indian construction workers who are doing their shopping and meeting their friends on their day off. Dense crowd, all young men, shoulder to shoulder, visiting with each other, enjoying someplace other than a building site. Nancy immediately noticed that there was no fair complexion, no blonde hair to be seen. No other women, either. Her grip on my arm tightened. It was something of a push, shove, fight to get to the front door of the center. Once inside, we found a warren of narrow paths through tall shelves and plenty of people wandering along. It was difficult to explain what we were looking for – a dehumidifier – but we eventually discovered them (and decided they were too expensive for now). We bought a few necessities (toothpaste) and experiments (pre-packaged spice for chicken masala) and then confronted the thought of trying to get out again. Eventually, we decided to have dinner – quite a good curry – at the rooftop restaurant and hope that the crowd would dissipate in the meantime. It did, but only a little, and Nancy decided that she did not need to go to Mustafa’s again. Ever. Would it be as bad on a Saturday morning? I decided to give it a try while Nancy is on a home visit. No crowds – the construction workers are still busily building a new Singapore on Saturdays – but the same warren of paths, the same difficulty in trying to find anything. I left with the decision that Mustafa’s is manageable, just, but maybe not worth the effort. And what did I bring home from this trip to Mustafa? 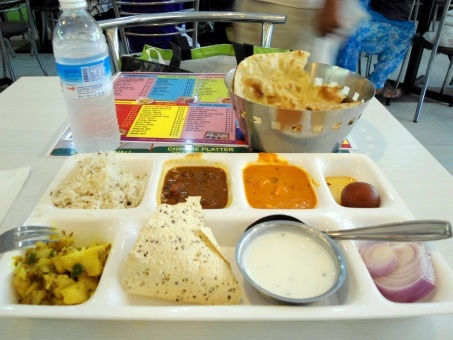 I found some tea and some warm-and-eat packaged Indian side dishes. And another Singapore adventure. I feel like I just spent the day with you! Hi Mike. Just love your journal entries and read them with the idea of walking away having learned something. Very educational. Thank you for sharing. You enlighten our world in Buckeye, believe it or not. Thanks for sharing Nancy with us. She looks good and seems to be very busy. I look forward to having her join me at water aerobics tomorrow at the Sage Center. Digby says to tell you hello from him. We are anticipating your return to SCF to resume our friendship and good times.